Abaca, or Manila hemp, is a textile banana tree (Musa textilis Nee, Musaceae) which grows in the Philippines: the fibres of the sheath from the bases of the leaves form a pseudo-trunk which is used in the production of light and unsinkable rope, matting, tablecloths, blinds and clothing. Abaca (also known as sinamay) is the vernacular name of Musa Textilis Nees, a tree in the Musaceae family originally from the Philippines. In addition to its vernacular name it is also called the Manilla hemp because its leaves are used to produce hemp (German Manilahanf, Spanish cáñamo de Manila). A first harvest can be made two years after it is planted, and then three harvests per year depending on the region. 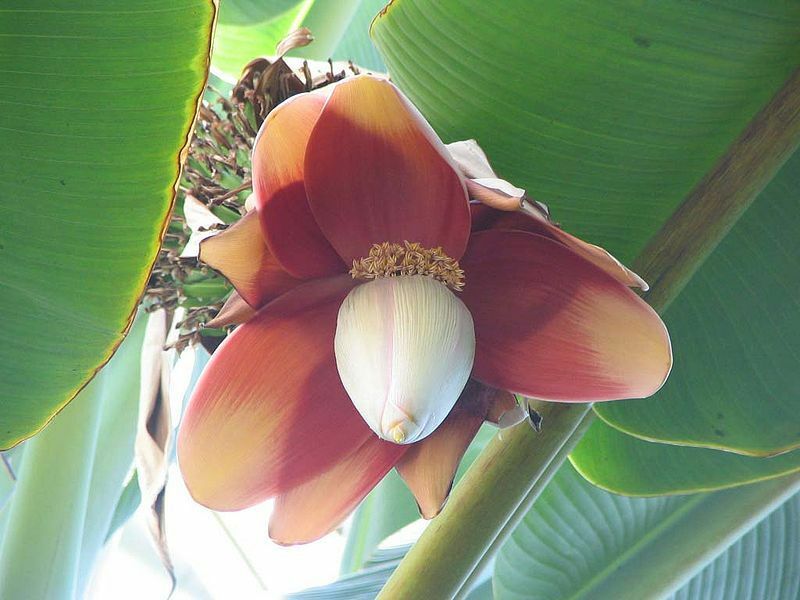 This plant's fruit and flowers are very similar to those of the banana tree, but the tips of its leaves are more pointed. The different varieties of the abaca are grown for their leaves and stems: Laguis, Inosa, Linawaan, Minenonga, Laylay, Linlay, Linino, Linlib, each with a specific length, diameter and resistance. The abaca reproduces on its own by suckering. Abaca has become a cash crop in Mindanao since Christianity arrived on the island with the Americans in 1902. During the second world war the Japanese occupation of Asia prevented the production of abaca. This is how the plant was introduced to Indonesia, Borneo, Central America and Southern Africa.